The natural sheen of the Azalia Table Lamp by Heathfield & Co will add an ethereal depth to any bedroom or hallway. The sophisticated cylindrical form is complemented by antique brass detailing and cascading ivory tones. 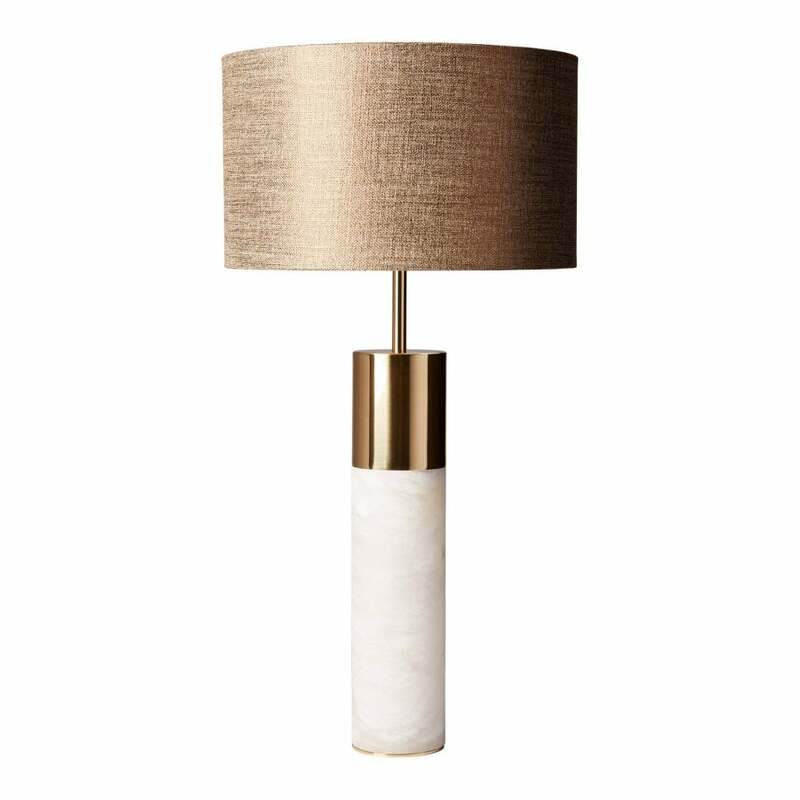 Part of the Alabaster range, this versatile table lamp suits both minimalist and opulent interior schemes. The luxurious shade is available in either silk, linen or cotton. Make an enquiry for more information.